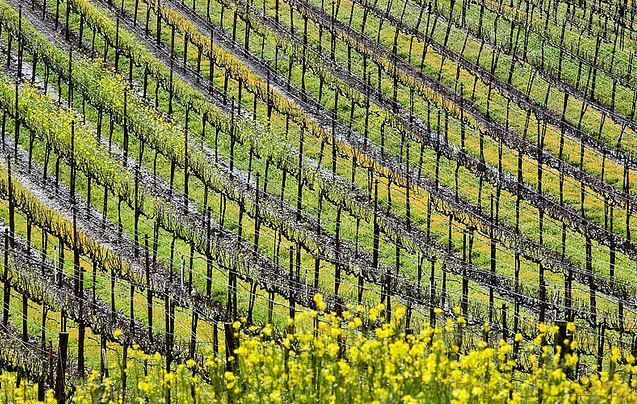 Vineyards get most of the attention in Napa County, but homes surrounding the lush farmland are making news, too. Bay Area home prices continued to climb higher in July, with red-hot Napa County leading the way. Napa County posted a 23.6 percent jump in the median price of homes sold in July, compared with a year earlier, rising to $405,000 as buyers resorted to bidding wars for a dwindling supply of properties on the market. Across the Bay Area, MLS data show that July home prices rose solidly in six of Pacific Union International’s seven real estate markets. Home prices also rose in three nationwide reports released this week. The National Association of Realtors said Thursday that the median price of homes sold in the second quarter of 2012 rose 7.3 percent, year over year, for the strongest quarterly increase in more than six years. Separately, the private research firm CoreLogic said second-quarter home prices were up 6 percent from a year earlier, and Freddie Mac said home prices rose 4.8 percent. Here in the Bay Area, home prices have been rising steadily for much of 2012. As prices begin to rise appreciably in the wake of the past decade’s housing crash, we’re hopeful that more property owners may once again feel confident in putting their homes up for sale, thereby relieving a severe shortage in available homes and returning a measure of normalcy to the market. In San Francisco, the median price for single-family homes rose 8.2 percent in July to $800,750, while condominiums jumped 19.8 percent to $752,500. Contra Costa County home prices rose 9.5 percent to $684,250. Prices in Marin County rose 8.7 percent to $842,500, and in Sonoma County they rose 7.2 percent to $348,500. The East Bay region, including much of Oakland and the cities of Berkeley, Albany, El Cerrito, Kensington and Piedmont, saw the only decline in median July home prices, down 4.6 percent, year over year, to $637,500. East Bay home prices reached a low of $427,000 in January and rose in each of the next five months before slipping 1.8 percent in July from June’s median price.